If you're stopping by with kids, check out MAIN STREET STUDIO to complete a craft, play, or buy a cute artsy gift for kiddos. Then, make sure you stop by MJ's Candy Store and end with ice-cream from any of our local ice cream spots. You can't go wrong! Try out a small scoop of Birthday Cake from Sallie's by the Shore...or the kids will love Superman ice-cream and Dory in the fish tank at The Culver Coffee Company. You could even grab lunch or a flurry at The Original Rootbeer Stand! Ladies' Day Out I love to meet my friends for brunch at Cafe Max or for a latte at Culver Coffee Company! Shopping Main Street is a great way to spend the afternoon. Some of my favorites are civvies for trendy wear, Diva for housewares, The Garden's candles, and don't forget cute shirts and South Bend Chocolates at Culver Coffee Company! Finally, take in the lake vies with a stroll from downtown to the park and beach area and even through the Indian Trails if you're being adventurous! Ladies' Night My friends and I usually meet downtown for a little shopping at civvies & Diva, followed by a martini or glass of wine at Lucrezia. By the way, Mondays are 1/2 price bottle of wine night and Wednesdays are $8 Martini night! Next, head to dinner at any of our Culver restaurants- they're all so good! If you want to stay out late, you can catch DJ Tim at Lakehouse Grille on Friday nights and live music (sometimes) on Lakehouse patio. Taking a Break If you're stopping through and just need a low key afternoon, take a leisurely drive around the lake to admire the beautiful lake homes. While you're on the East Shore, stop into Culver Marina. Check out the Bargain Bin area for 50-80% off Reef, Quicksilver, Sanuk brands and more. 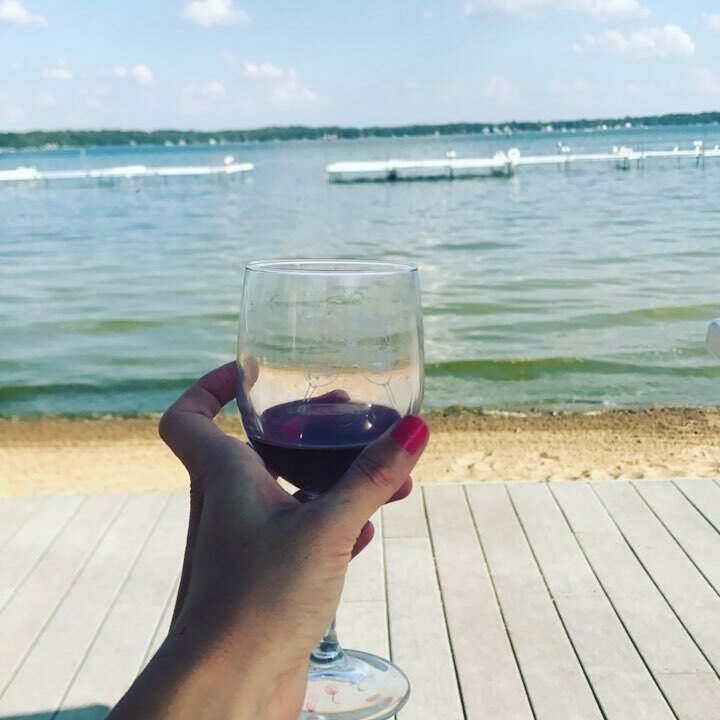 If it's summer, have a drink at the Boardwalk Grille while you enjoy lake views. After you leave the marina, check out Mystic Hills beautiful countryside down 20b Road. When the road comes to a "T," you'll see the Flea Market Chic barn. Stop in to check out Jenifer's shabby chic furniture and decor, and be ready to take something home! Nature Lovers Grab some lunch or dinner from The Original Rootbeer Stand, then go fishing at the public fishing pier at the beach. If the fish aren't biting, you could hike the Indian Trails at the edge of the public park, or even rent a paddle board or kayak at the beach. You could even do a river float by launching in the Yellow River just north of town. DAWN SAYS, "Just quickly off the top of my head: start your morning with coffee in the park and head down for a walk on the Indian Trails between the public beach and The Culver Academies campus. Then, head over to the gift shops and eateries downtown for shopping, wine, and ice cream. Have kids with you? Play at the park or swim at the beach, craft at Main Street Studio. One of our favorite things to do is visit the academy's Black Horse Troop in their barn, then grab lunch from The Original Rootbeer Stand and eat on-the-go or find one of a million great picnic spots throughout town or on Academies' campus! Many, many more things to do. Love our town!